DELIVERY DIRECT TO YOUR DOOR! Charlotte de la Cruz is overeducated and underemployed, wasting her time in a dead-end job in San Diego, and spending her free time chasing down conspiracy theories on the dark side of the internet. When a real-life conspiracy crashes into her life, she's pulled into the orbit of the Assassins, a mysterious organisation of principled killers with roots stretching back thousands of years – and users of the stolen Animus technology, which allows them to experience the memories of their ancestors as if they were there! Charlotte has a secret in her blood... the genetic memory of an ancestor who was in Salem at the time of the infamous witch trails: Tom Stoddard, an Assassin who witnessed a dark act with repercussions for the present day! © 2015 Ubisoft Entertainment. All Rights Reserved. 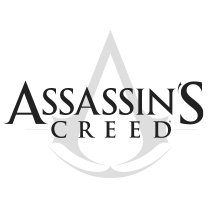 Assassin’s Creed, Ubisoft, and the Ubisoft logo are trademarks of Ubisoft Entertainment in the U.S. and/or other countries.